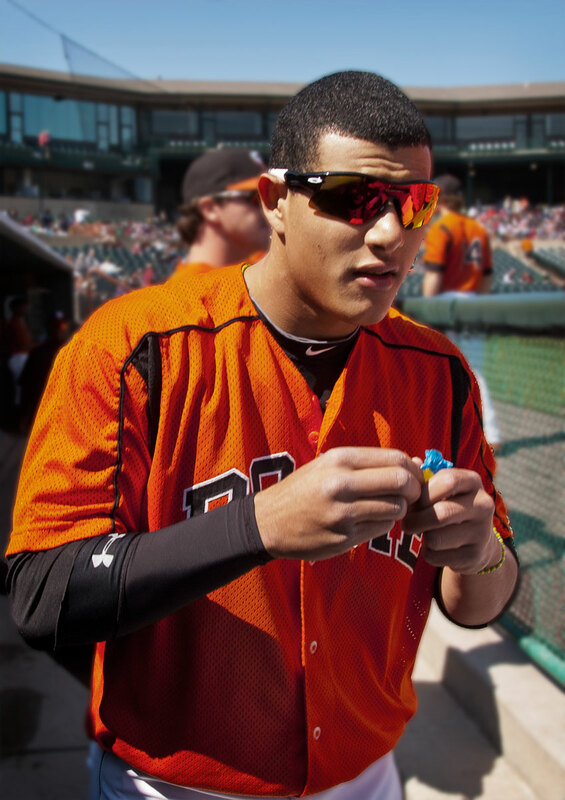 He is with the Los Angeles Dodgers now, traded about a week ago, but I thought I’d re-post this image of Manny Machado that I had an opportunity to take five years ago when he was still with the Double-A Bowie Baysox. It has been a lot of fun watching him play over the years, and I’m sure he has got a rather impressive career ahead. This entry was posted in Uncategorized and tagged Baltimore, Baysox, Bowie, Manny Machado. Bookmark the permalink.